British Telemark skier Jasmin Taylor recorded six podium finishes during the 2016/17 World Cup season and she is threatening to better that this winter with another pair of top-three finishes at Hintertux, Austria. The event was one of three FIS World Cup events featuring British skiers and snowboarders this weekend. Jasmin Taylor started the season in great form on Friday, picking up a bronze medal in the Sprint to record her ninth career World Cup podium. She was unable to improve on that in Saturday’s Sprint, finishing fifth, however Taylor hit back on Sunday to finish second in the Parallel Sprint. Naila Cardwell recorded top 20 results in Friday’s Sprint and Sunday’s Parallel Sprint. The results mean British skiers and snowboarders have now recorded five World Cup podiums this season, with Taylor’s pair of results the first top-three results recorded outside the GB Park and Pipe team. In the Men’s events, British skiers best results all came in Sunday’s Parallel Sprint where Alex Dixon finished 17th while Colin Dixon and Ben Emsley each took a share of 33rd. 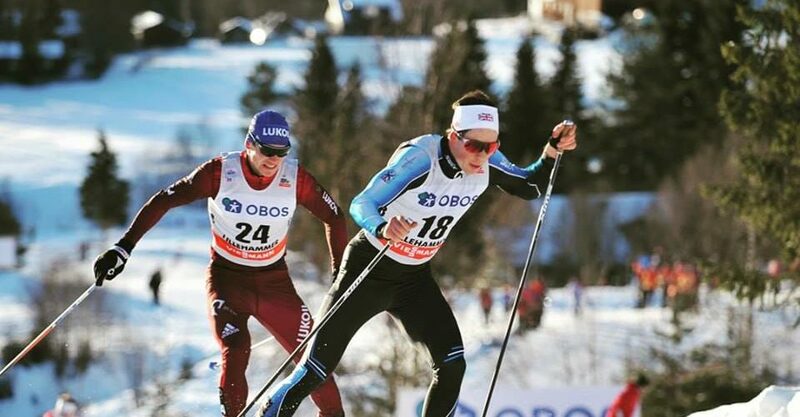 Andrew Musgrave’s Olympic preparations took another step up in Lillehammer over the weekend with 13th in the 30km Skiathlon. Musgrave was 22nd through the 15km Classic section but brought it home well in the final 15km Free portion of the race to move up nine places. Callum Smith unfortunately did not finish the race. In Friday’s Sprint qualifying, Andrew Young finished 43rd and Smith 77th, with neither progressing to the next round. Other members of the British Nordic Team competed at FIS events over the weekend. Annika Taylor and Nichole Bathe finished 23rd and 24th respectively in the 1km Sprint at Idre, Sweden, and Bathe backed it up with 21st in the 10km Classic. James Clugnet competed at Premanon-Les Tuffes were he finished 28th in the 10km Free and 14th in the 1.4km Sprint. The GB Park and Pipe Team put in a strong showing at the Snowboard Big Air World Cup in Germany in foggy conditions, however none of the four athletes were able to make the finals. Katie Ormerod followed her silver medal in Milan three weeks prior with 10th place performing a solid Cab 9, while Aimee Fuller was just behind in 11th. In the men’s event, Rowan Coultas was 11th in the first qualifying heat and finished 19th overall. Matt McCormick finished 12th in the second qualifying heat to end up in 24th. The GB Park and Pipe Team will have its next outing at Copper Mountain, USA later this week where the Ski Halfpipe World Cup continues. 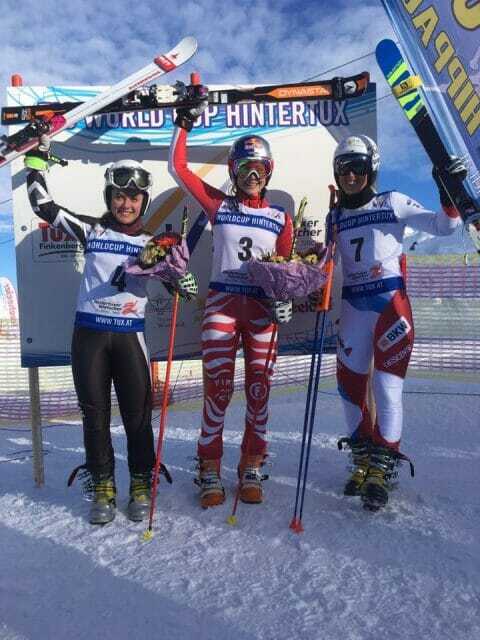 The Delancey British Alpine team had a mixed weekend in Europe and North America. Jack Gower was in Beaver Creek keen to take on the Downhill and Super G in what would have been his second World Cup event. However injuries sustained in a crash at Lake Louise the previous week ruled the 23-year-old out of the competition. At the Europa Cup event in Hafjell, Norway yesterday, Alex Tilley showed some of the pace showcased at last week’s Killington World Cup to finish sixth in the Giant Slalom. Charlie Guest and Cara Brown failed to qualify for the second run. In today’s Giant Slalom race, Tilley finished 12th with Guest 50th and Brown 58th in the first run. Tilley has qualified for the second run which will begin at midday UK Time (Live Timing available here: https://data.fis-ski.com/alpine-skiing/live-timing.html). Lloyd Wallace returned to action over the weekend at the Super Continental Cup in Ruka, Finland in his first competition since a serious crash in August. Wallace finished 22nd on Friday then lifted that to an eighth place finish on Saturday. The results will give Wallace plenty of confidence ahead of the first World Cup of the season in China on 16-17 August. British Ski and Snowboard is backed by Principal Sponsor Delancey, a specialist real estate investment and advisory company. British athletes are also supported by the British Snowsports Fund (www.bssnf.uk), a scheme which allows ski and snowboard fans to give a small donation to support our elite teams and younger athletes via one of the Fund’s industry partners, for example when buying a holiday or purchasing kit.